My guide to making profit on reload offers for matched betting! How to make money from gubbed matched betting accounts! Matched betting long term and how to keep the profits rolling in! My guide to avoid being gubbed and restricted by the bookies! Smarkets free bet sign up offer and the reasons for joining them! Cheltenham Festival 2018 Review, a diary of my daily profits this year! Matched betting forum and how they can improve your daily profits! Many people believe that once you have completed the many matched betting signup offers that you can no longer make money from matched betting. This really couldn’t be any further from the truth; it is totally possible to continue to make long term profits from your matched betting accounts. The way we continue to make money is with reload offers. Reload offers can exist in many forms but they usually have a free bet attached to them. So the income potential is awesome, you can make several hundred pounds extra each month or if you really push it, you can achieve £1,500-£2,000 a month tax free from matched betting which I think is superb. There are loads of different bookmakers that are out there. They all offer a signup offer as well as reload offers for their existing customers. Imagine once you have signed up to all the bookmakers and then you start doing reload offers on each bookie every month, your profits will soar. So if you are under the impression that matched betting is a one trick pony, you are mistaken and this article is aimed to show you how you can enjoy matched betting profits for time to come. The basic reload offers are the ones where you have to bet £20 to get £20 or bet £10 to get £10. These are my favourite as it is fast easy money; they don’t take long to do and they are so easy almost like doing the initial signup offer with them. All you have to do is place a qualifying bet and then you will receive a free bet to turn into cash, done! When you first signup to the bookmakers, you will usually have to enter your email address and it is recommended that you create a new email address separate from you other affairs because it will quickly get swarmed with bookmakers telling you about their latest reload offers. I get emails flooding through each day from multiple bookies telling me about their latest offer to existing customers. The same will happen for you, so create a new email address just for matched betting and watch your inbox flood with emails from the bookies. Even now, I still take advantage of the reload offers I receive via email as they are the easiest to do and it is such easy money it would be silly not to do. The only offers I don’t do at all are ones where the free bet is less than £10 as I don’t think it’s worth the time. You login, deposit your money, find a good match, calculate the lay stake, place the bets and all this effort for £3.50-£4.00 is just not worth the time in my opinion. Sure it may still be £3.50-£4.00 for 15 minutes work but I don’t bother with them. At least when you do £10 minimum free bets ,you’re walking away with £8.00 for 15 minutes work which sounds much better right? Oddsmonkey have their own daily offer calendar available to premium members of their website and this is also a very good tool to use. The daily offer calendar is updated daily and is packed full of the copious reload offers you are able to do for the day. It runs days ahead so you can plan what bets you are going to place a few days in advance. It also includes a section for weekly club reload offers which could make you around £100 a week alone so looking at this page is worth at least £400 a month to you and this is just from some really basic reload offers. The daily offer calendar has other features such as linking each offer to a thread in the matched betting forum where you can discuss with other Oddsmonkey members. The full details of the offer can be seen when you click “more details” and this tells you exactly what you need to do in order to qualify for the free bet offer and how to make money from the free bet once you receive it. This is done to make your life easier and is usually busiest and has the most value when it is a busy sporting day. I find using the calendar on a Saturday or a packed midweek of football is the best time to use this. There are also many casino matched betting offers but I don’t do these ever because you can’t lay them off however there are people who do and make money from them but they’re not for me. The accumulator refunds are one of my favourite reload offers to do in matched betting. Before I joined Oddsmonkey, I would never have believed anyone who told me you can actually make a profit on every accumulator bet you place. Turns out you can make a profit from every accumulator bet you place when matched betting. This is usually around £8 for every £50 staked as a minimum. When I made over £4,000 back in March 2017, the bulk of that profit figure was from accumulator refunds. That month I placed 270 of these accumulators and that’s when I saw my profits soar through the roof. This is an example of an accumulator I did back in May 2017; I made £36.06 guaranteed regardless of the result between Juventus and Crotone in the final leg of my accumulator bet. Sometimes the profit can be much bigger than £8 per £50 staked because the odds can change in your favour. If you see above, the lay odds of Lyon shortened massively before kick off from around 1.75 to 1.38 which is why the profit figure of £36.06 is so high. 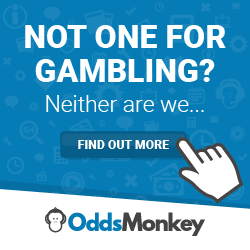 Oddsmonkey has excellent accumulator refund software where you can make a profit on every accumulator without the need for messy spreadsheets and hours of calculations. I use this for my entire accumulator betting and it makes me good money every month without fail. Instead of betting away £25 on an accumulator at Ladbrokes, you can guarantee yourself £5 a time by doing matched betting at Ladbrokes on £25 accumulators. I know which option I would prefer. So I hope this article has removed all doubt from your mind about the ability to make money from matched betting long after the signup offers. You can make so much more money from the reload offers in matched betting rather than the signup offers alone. The signup offers are good at bank building because the offers are bigger than the reload offers generally. For example some signup offers are bet £200 get £200. But reload offers are a lot smaller but because you can do them in greater volume, you will make a lot more money long term from the reload offers. Using a service like Oddsmonkey is recommended so that you can use their daily offer calendar as well as their accumulator refund software. I estimate the accumulator refund software has made me well over £10,000 in 2017 which is a great feat. So don’t be alarmed, there is still plenty of profit to be made once you have completed all the matched betting signup offers. If you are interested in reading in more detail, try my Oddsmonkey review and Smarkets review today. Feel free to message me and I will ensure your queries are dealt with immediately. My email address is adam@catbets.com and I get back to all messages the same day. If you are ready to make lots of risk free money, then have a browse through my site and use my expert knowledge of matched betting to improve your lifestyle today! Without the specific terms of the offer i cannot really advise. My name is Adam Corke and I have created Catbets to help people see how easy matched betting is to start and to make a long, regular and recurring income from. I hope you enjoy Catbets! Join Smarkets below & Get £50 in Risk-Free Bets! How to deal with rollover bonuses and make profit from the wagering. Matched betting explained, my guide to profiting from free bets today! All sites on these pages are meant for people over the age of 18 years old.